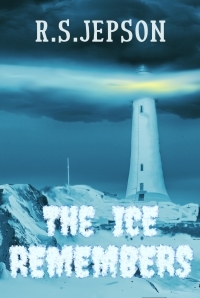 In a remote lighthouse in the Barents Sea, a new crew take over for the winter. Some consider the building to be jinxed after a checkered history of tragedy. A strange series of events beset the two men and each becomes distrustful of the other. But who is responsible? Is one, or both of them, going mad; or is something, or someone else involved? The psychological tension builds as the plot evolves towards a bizarre conclusion. Ivan fingered the crucifix which hung around his neck, then grasped it in a clenched fist as he squinted through the windscreen. His vision of the runway was obscured by a sudden snowstorm, but it was too late now to abort. Vasily and Nikita reached the saloon and sat down. Vasily topped up his glass of vodka. "Pour me a large one too," said Nikita. "Sure, what you want in it?"